Green Smoke has announced the long awaited release of their new FlavorMax™ longer lasting cartomizers. Supposedly, each new cartomizer provides the smoker with up to 360 puffs – the equivalent to up to 30 traditional cigarettes! The new Green Smoke® FlavorMax™ cartomizers were released nationally on July 14th and retail for $16.99 for a pack of 5 with discounts for buying 8 or more. The new Green Smoke® FlavorMax™ cartomizers have also been reengineered with improved airflow which allows smokers obtain a full inhale of vapor with less effort. 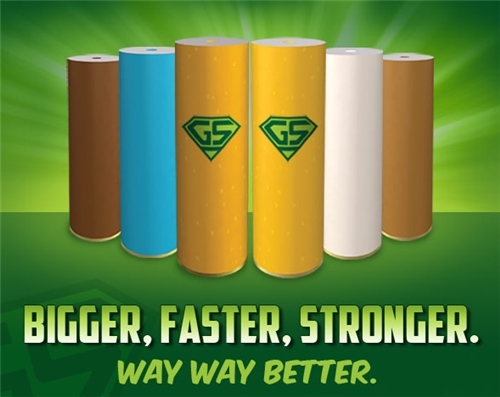 In addition to being longer lasting, the new Green Smoke® FlavorMax™ cartomizers include Green Smoke’s innovative Green Seal™ freshness labels, thick vapor volume, array of flavors and a variety of nicotine levels for customers to choose from. Green Smoke® Inc. is based in Miami, FL and was founded to provide smokers with a satisfying new alternative to traditional cigarettes. As a leading electronic cigarette brand, Green Smoke® was amongst the first companies to deliver a simple two piece e-cigarette. Today, the company continues to pride itself on consistently delivering the highest quality products and the most authentic e-cigarette smoking experience. Green Smoke® is the proud sponsor of TJ Bell in the 2011 NASCAR Sprint Cup Series.